How Vital Is Bitcoin Wallet Privacy For Bettors? Home » How Vital Is Bitcoin Wallet Privacy For Bettors? One of the hallmarks of using Bitcoin is that it allows for private transactions. Compared to fiat currency payments or withdrawals that often require multiple proofs of identity, Bitcoin deals often just require a source wallet address and a destination address. The trouble is that even with those limitations, people are still not completely private. Data thieves can use various means to glean the needed financial information so that they would be able to have access to a person’s Bitcoin wallet. 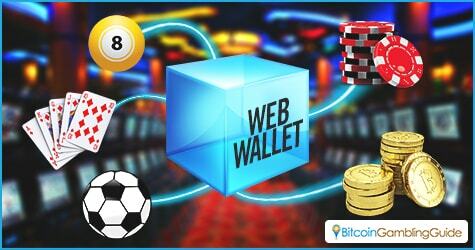 Bitcoin wallet privacy is especially important for online gamblers. This is because of the large amounts of bitcoins that often pass through their Bitcoin wallet. Ensuring that only those involved in the transactions know the specifics of a transaction is the key to security and preserving financial privacy, which is the reason behind the rise in demand for Bitcoin hardware wallets. With the wide variety of Bitcoin wallets available, Bitcoin gamblers may find it difficult to narrow down the decision. Fortunately, the Open Bitcoin Privacy Project has released the second edition of their Bitcoin Wallet Privacy Rating Report. The report looks at some of the popular wallet options out there to see which best protect their client’s privacy. First released in 2015, the report is rather critical of the current crop of wallets. It notes that privacy innovations were only slowly becoming adopted. This is blamed on developers taking the wait-and-see approach when it came to adding privacy options, waiting for others to take the first step in implementing new features. The current cream of the crop is Ledger. It is not encouraging, however, that it tops the list at a score of 50 out of 100, which is more of a statement on the current state of privacy in Bitcoin wallets. Launched in 2015, Ledger offers a line of smartcard-based hardware wallets. Unlike the pure software wallets used by their many competitors, Ledger wallets often need a USB stick inserted into the user’s current computer and then an additional password to fully access the wallet. Breadwallet, another top Bitcoin wallet, is in complete contrast to Ledger’s approach. A pure software wallet, it is a popular choice for many iOS users. The developers launched the app back in 2013 and it only provides basic functionality in sending and receiving funds. Although simple in features, it boasts the use of Simplified Payment Verification (SPV) architecture. This allows it to get balanced information directly from nodes in the Bitcoin network. This stops the usual data leakage found in mobile Bitcoin wallets. For some Bitcoin gamblers, privacy is not what they are after. 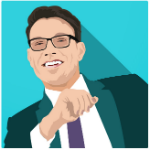 They want to get their bitcoins moving, whether into their casino bankroll or from their bankroll into their wallet. Two of the more popular wallet choices for those seeking convenience are Blockchain.info and BitGo, mostly because of their widespread coverage and easy interface. Coinbase is also a popular pick but only as storage of funds and not the wallet primarily used for gambling purposes. The problem, though, is that these options scored low in the OBPP report. It is advised that Bitcoin gamblers who are concerned about security to use these wallets as the main method of moving bitcoins between their bankrolls. However, the bulk of the accumulated funds should be transferred to a more secure wallet later for added security. 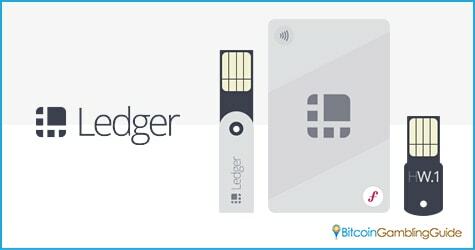 Ledger, a Bitcoin hardware wallet, edges the web wallets in this aspect, but it is overtaken by the less private wallets in terms of convenience and ease of use. This only establishes the need to tap both kinds of wallets, even when engaged in Bitcoin gambling, to maximize privacy and security while enjoying quality Bitcoin casino games.